Caterham Cars has launched a standalone engineering business, Caterham Technology and Innovation Limited (CTI), that it says will be responsible for the development of a completely new line of accessible and affordable sportscars. According to today's announcement, the new models will inspired by the lightweight, minimalist philosophy of the Seven, and will draw on the advanced technologies and materials from the Group's Team Lotus Formula One and Caterham Team AirAsia GP2 motorsport operations. In addition to the next generation of Caterhams, CTI will undertake advanced projects for external companies operating within the automotive and aerospace sectors. "The new shareholders are committed to investing in an exciting range of global products over the next 10 years," says Mark Edwards, CTI's Chief Executive. "Tony Fernandes has been very clear from the start that Caterham needed a sustainable research and development business model in order to meet the plans the management have for the road car business. "By establishing unique operating principles for CTI, we have managed to attract a world-class team of niche vehicle engineers eager to build on the ethos of Caterham and the DNA of the Seven." Among the first in a series of well-known industry figures to join the new operation will be Tony Shute. Joining as Head of Road Cars for the new business and, as an avid motorsport competitor in his own right, Shute is one of those credited with bringing the ground-breaking Series 1 Lotus Elise to market. 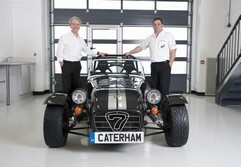 "When the opportunity to be involved with creating the next iconic Caterham arose, I couldn't turn it down," says Shute. "The core principles and ambitions of CTI have enabled us to attract some of the brightest and most respected talents in their fields." Caterham Technology and Innovation is based in Norfolk near the Group's motorsport operations. Should be interesting! 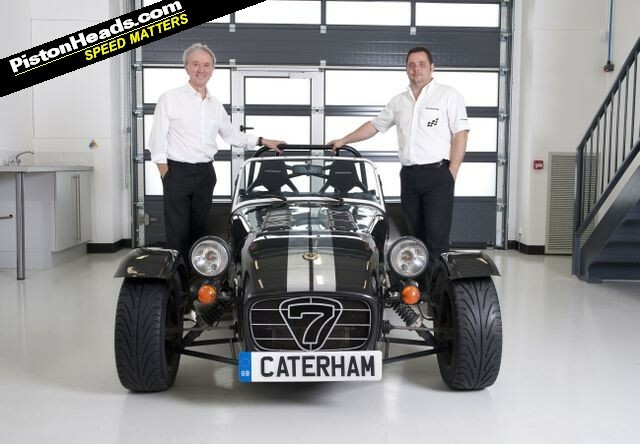 I have always thought there must be room for a Caterham using the traditional core values but in a more modern package. Don't know why the 21 wasn't more successful - I really liked it. Better luck this time. So it seems that, as expected, Caterham are trying to position themselves to take over from Lotus when they move up to compete with Porsche. And the next step on the road to Tony Fernandes buying Lotus is taken. Thing is Dany Bahar is taking such a high risk strategy either it will be an amazing success and not for sale or a debt ridden husk and not worth buying. Maybe that's why Tony Fernandes is building his own Lotus from a kit of parts. Part of me misses the old days when Caterham concetrated on the product that made them famous, however I do like the fact that Tony F has a vision and is trying to use those core values to more into other spheres, so I wish them well.